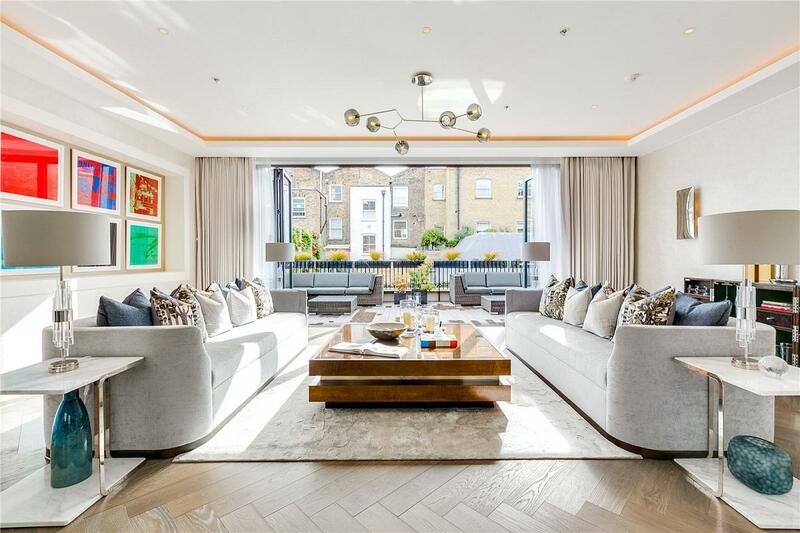 A beautiful 5 bedroom new build house with lift to all floors and leisure suite on Lonsdale Road, Notting Hill. 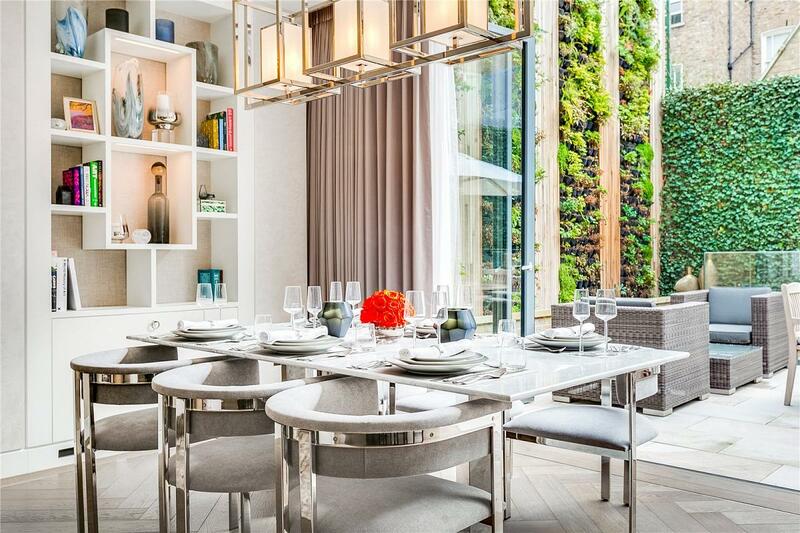 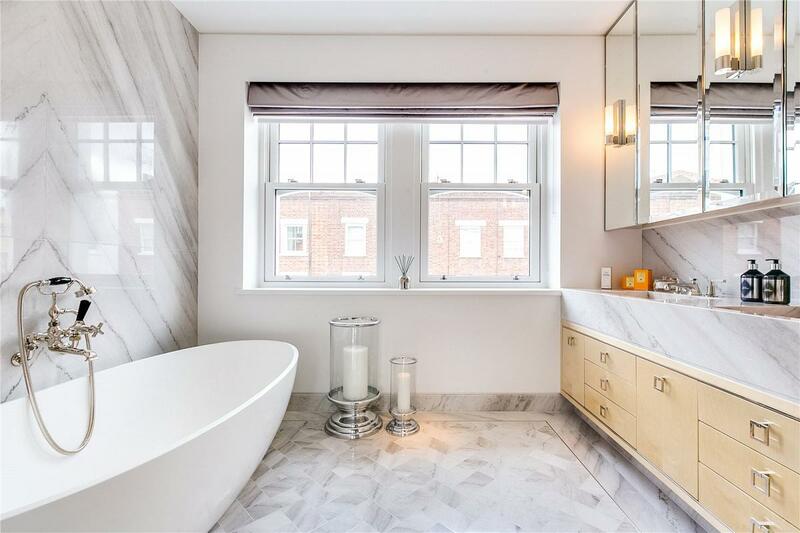 The property is set in the heart of Notting Hill only moments from Westbourne Grove so offers the tranquillity of a quiet street and a convenient location for the many shops, restaurants, and boutiques nearby. 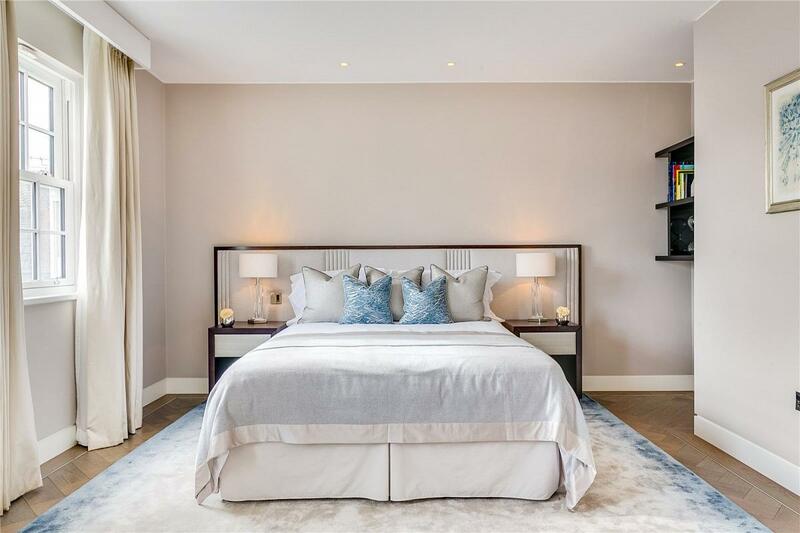 It measures in the region of 6225 square feet and has been carefully designed by award winning interior designers Fenton Whelan and offers a functional yet aesthetically-pleasing design. 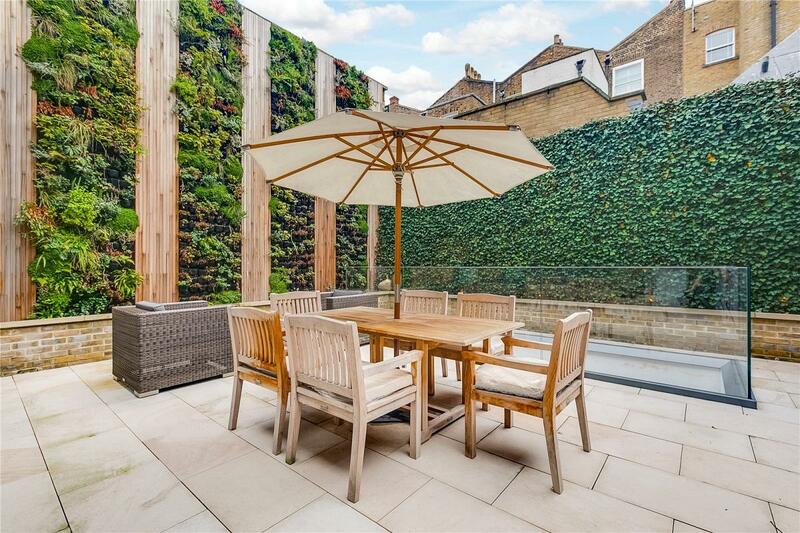 It is entered at ground floor level which consists of a stunning open plan kitchen / dining room leading onto a south-facing garden with living-wall, a garage, and a guest cloakroom. 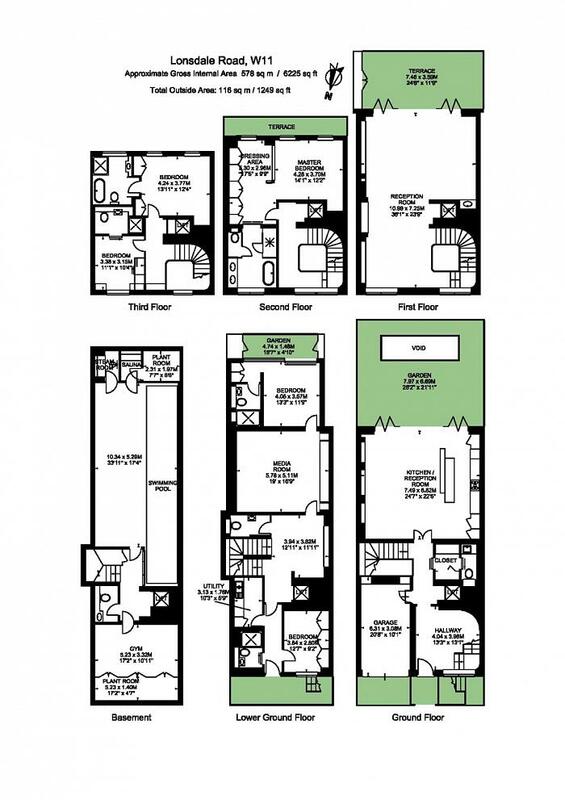 The lower ground is made up of 2 bedrooms, 2 shower rooms, a powder room, utility room, patio, and media room. 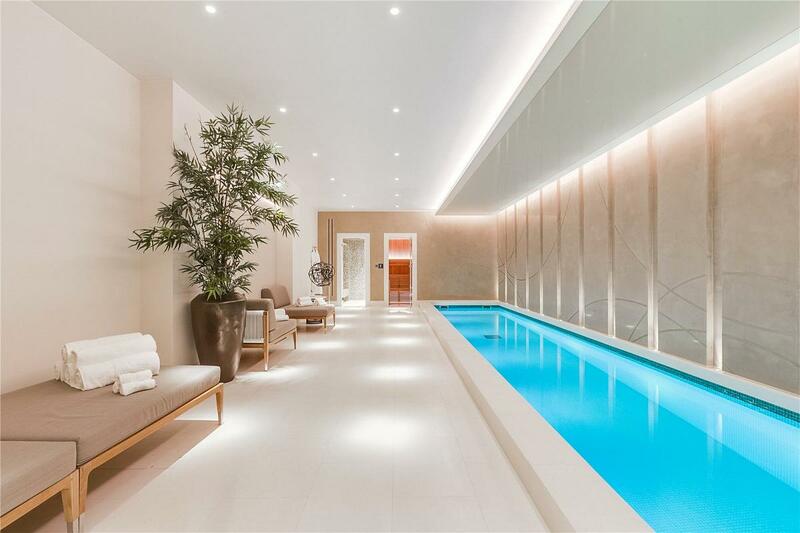 The basement is home to a 33 foot long swimming pool, a sauna, a steam room, a further powder room, and a gym. 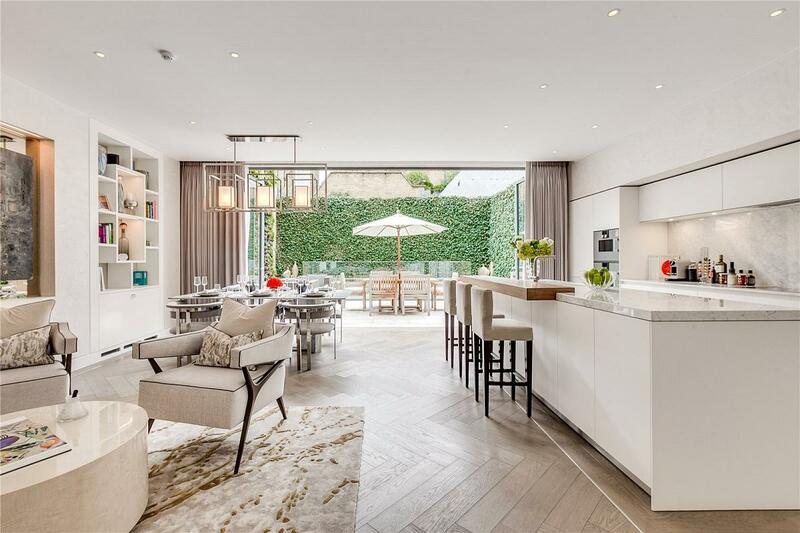 The 1st floor consists of a double reception room with south facing terrace and bi-folding doors. 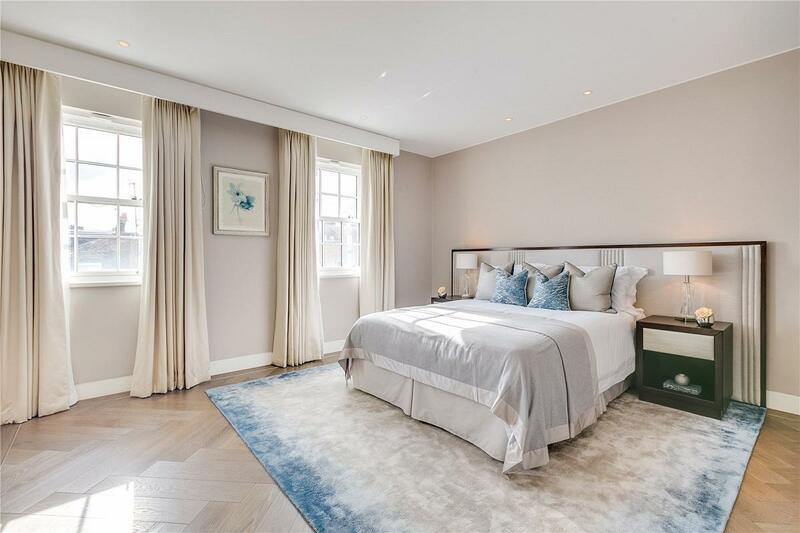 The whole of the 2nd floor has been allocated for the generous master bedroom suite with walk-in wardrobe, balcony, and a bathroom with his & her sinks. 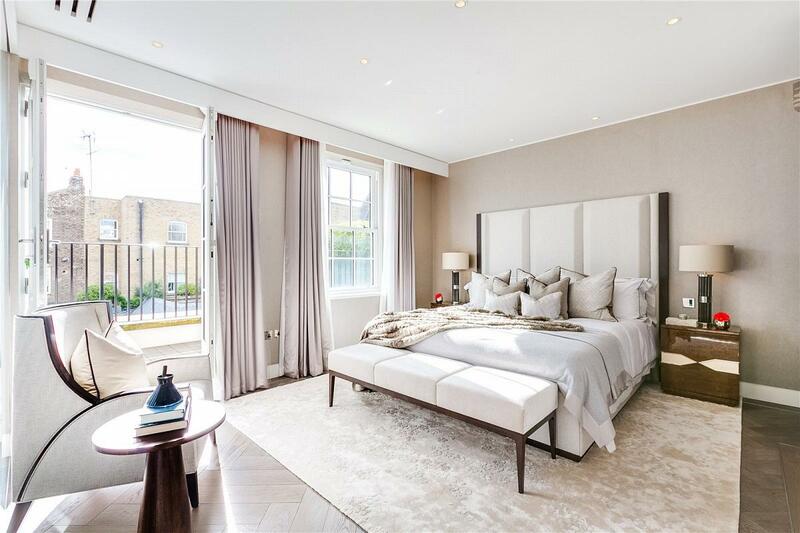 The top floor (3rd floor) is made up of 2 bedrooms both with en-suite bathrooms. 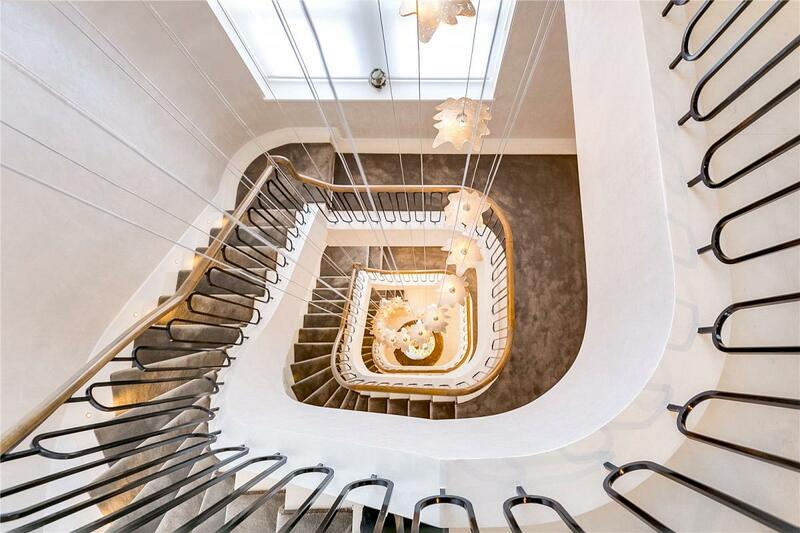 The lift services all of the floors and a stunning sweeping feature staircase has been built around a beautiful hanging chandelier. 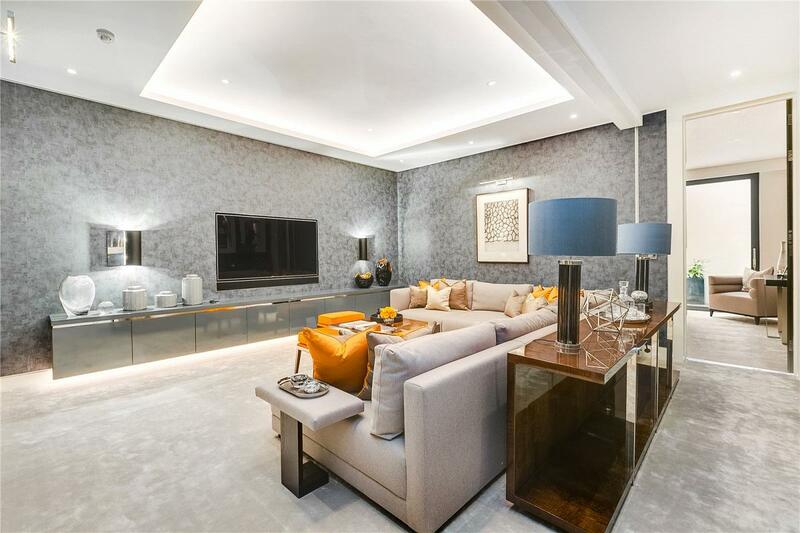 It has been finished to an excellent standard so is ready to be moved into. 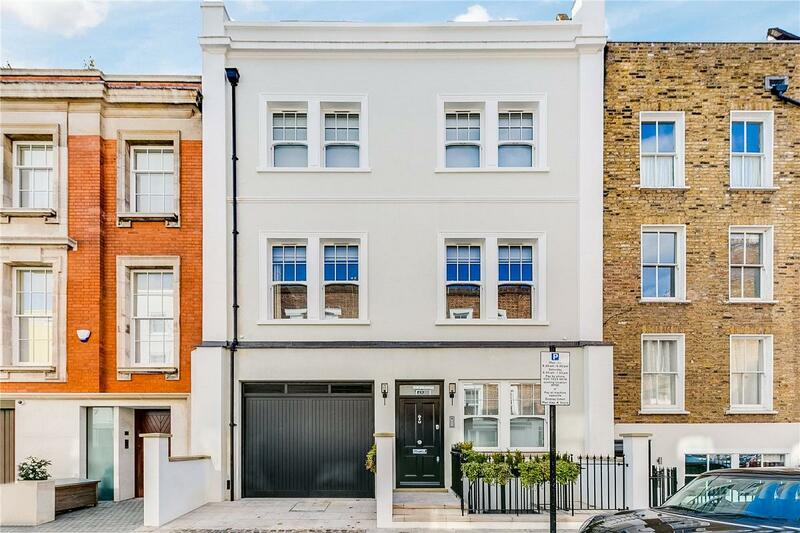 Lonsdale Road is a pretty street behind Westbourne Grove. 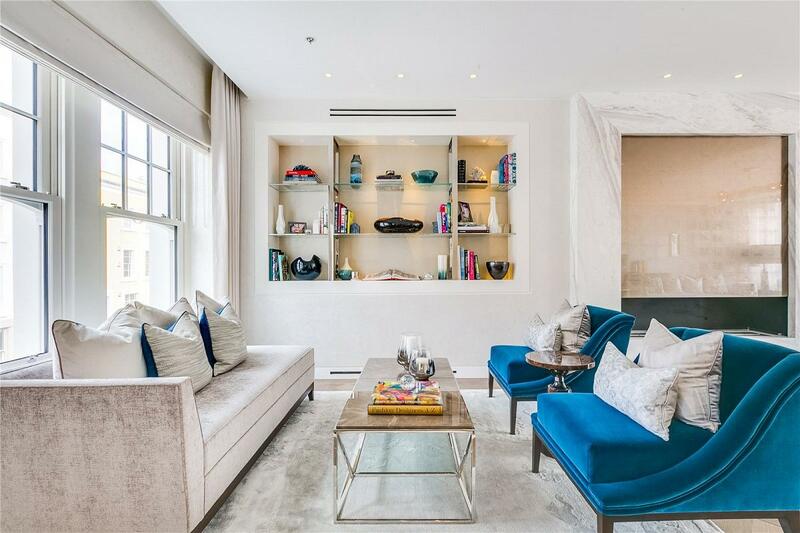 It is well located for the many shops & restaurants of Westbourne Grove, Portobello Road, and Notting Hill Gate. 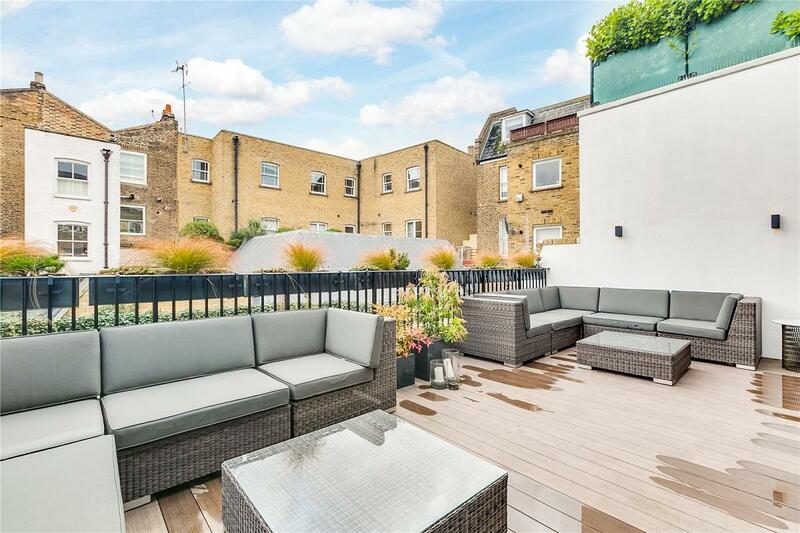 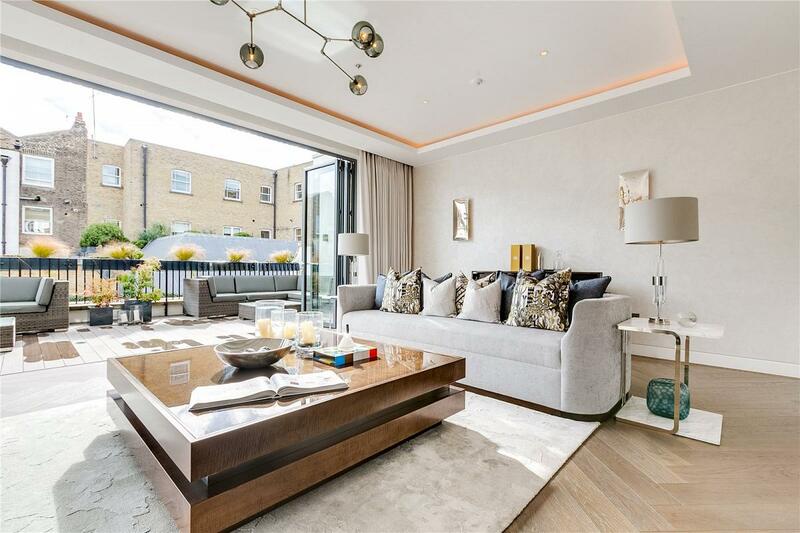 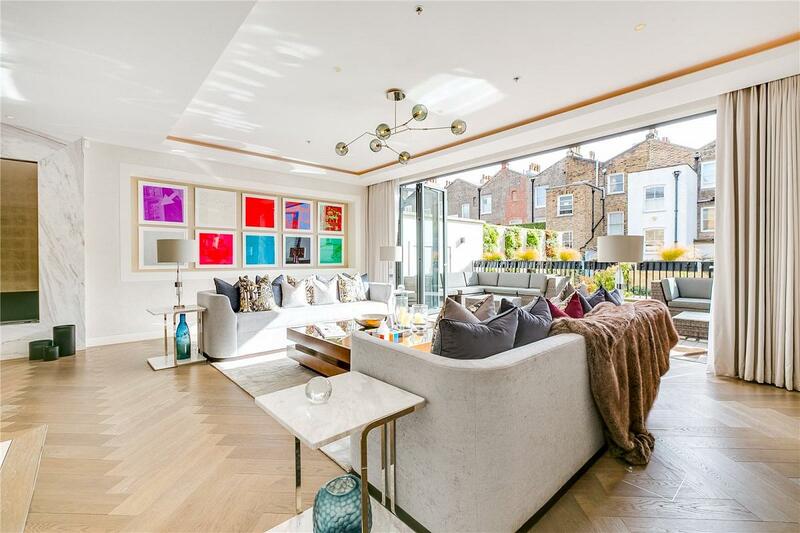 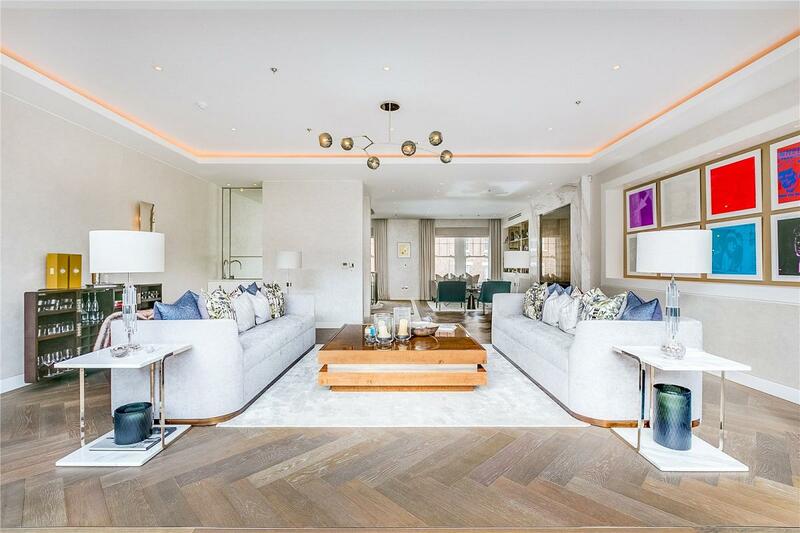 "A beautiful 5 bedroom new build house with lift to all floors and leisure suite on Lonsdale Road, Notting Hill."